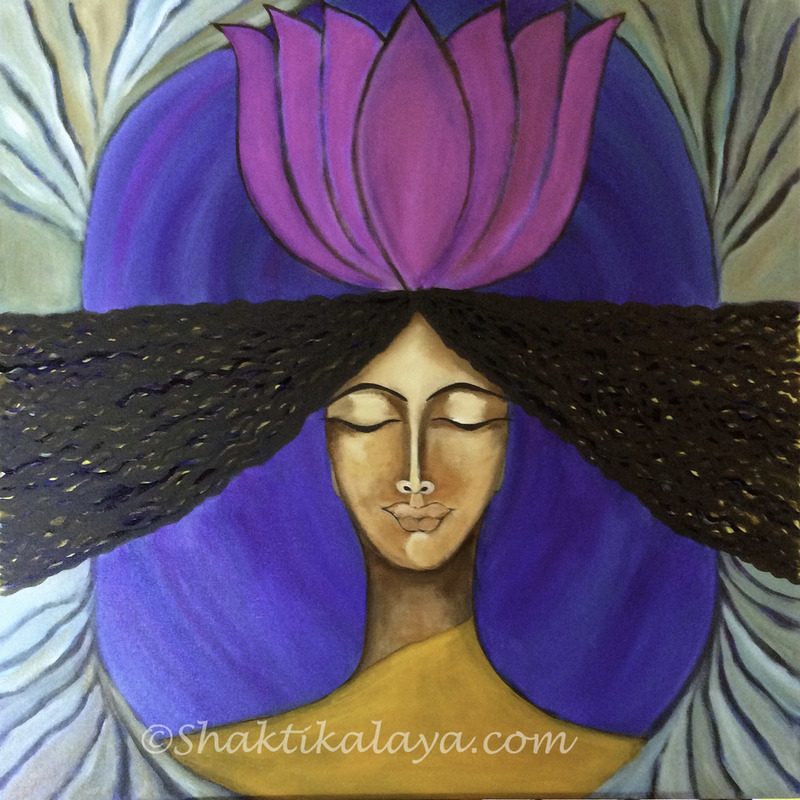 Shakti emerged as I set out on exploring my longing to connect with my Soul’s legend. 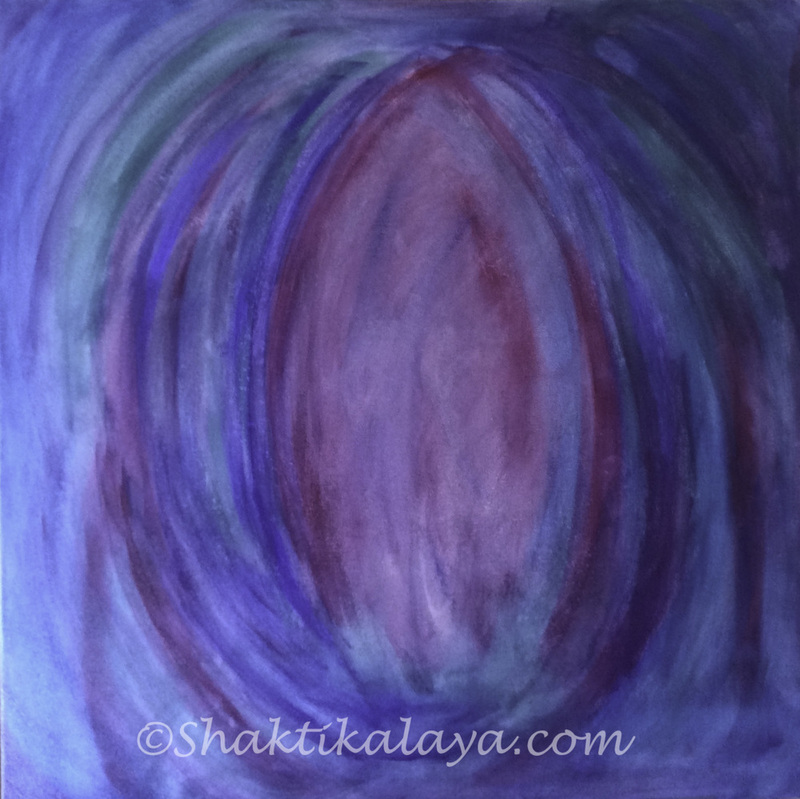 Colors to awaken these inquiries in my subconscious becomes my sacred portal of initiation and invitation. I sit in silence as I invite her onto my Sacred Portal. She starts emerging slowly stroke by stroke. I listen deeply as she guides me onto colors and symbols. My energy shifts with each color and each stroke. Integration of the messages, colors and symbols. She wants to turn blue, a healing from the water element. She who is the One and the None.